Patagonia cruises give you the chance to explore all of the glorious attractions that this vast region has to offer. Why a Cruise to Patagonia? Discover the extraordinary landscape and fascinating wildlife you can see when you travel with us. What will the itinerary cover? What are the options? 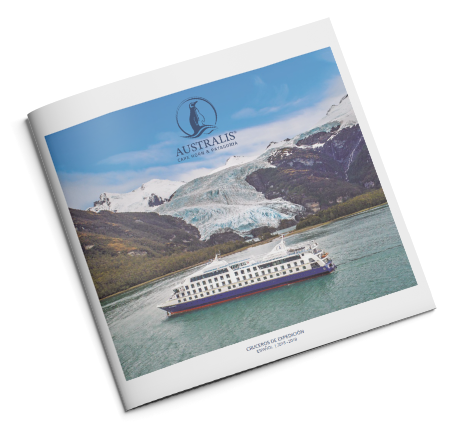 Discover al the different routes that Australis Cruises offer. What will I learn? Meet the multidisciplinary experts that will be on your Expedition Team. How is life onboard Australis Cruises? Equipment: What will I need to bring? Download our brochure by filling the form on this page.